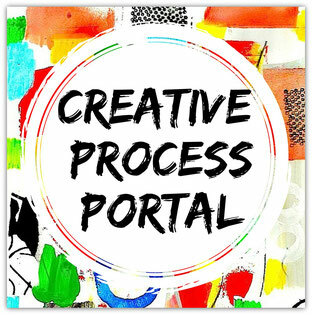 Creative Process Portal is a place for artists, authors and therapists to share how their creative process supports mindfulness, self-awareness, emotional healing and soul connection. 2. A creative process blog, website or FB Page. I am passionate about promoting the benefits of the expressive arts. My website presently enjoys over 2000 visitors a day. Many express that they regularly use my website as an expressive arts resource. It is my hope that your permanent page on my website will be part of a free resource library for people seeking to explore your creative process for years to come. In appreciation of you taking the time to share, I will do a promotion of your creative process page with your web link details on my Expressive Art Inspirations FB Page and other my social media channels. 1. If you could sum up your current creative process in one sentence what would it be? 2. How is your creative process supporting you to grow, change or transform? 3. What are the main themes you are exploring in your creative process at the moment? 4. What are you currently discovering inside of your creative process that might serve as an inspiration for other people's creativity? 5. How can we learn more about your creative work in process? Please share and describe your website, blog, Youtube channel, book, FB Page etc. d. A short description of who you are as an artist/writer/creator.